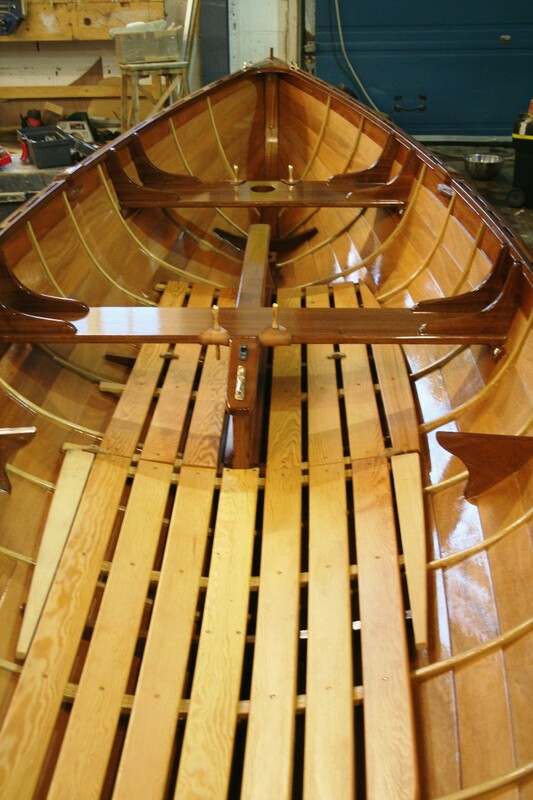 Boat Building Academy students Matt Cotterill and Nuh dan Per built this glued clinker epoxy ply 14ft Whitehall skiff ready for the student launch in December, reports BBA staffer Emma Brice. Originally from the Yorkshire Pennines, Matt worked in package design and 3D branding before throwing it all in and taking up the chisel in March 2010. 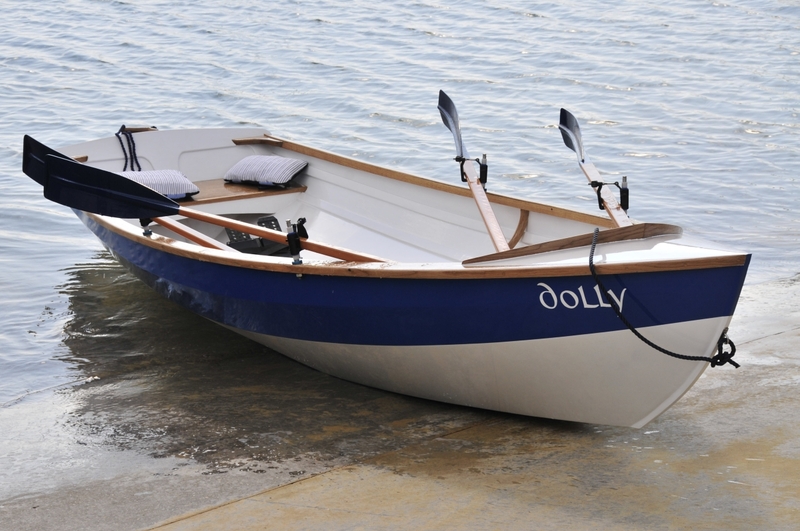 Matt chose the John Gardner-designed skiff because of its general similarity to the traditional boats of the Thames – he lives in the Thames Valley. 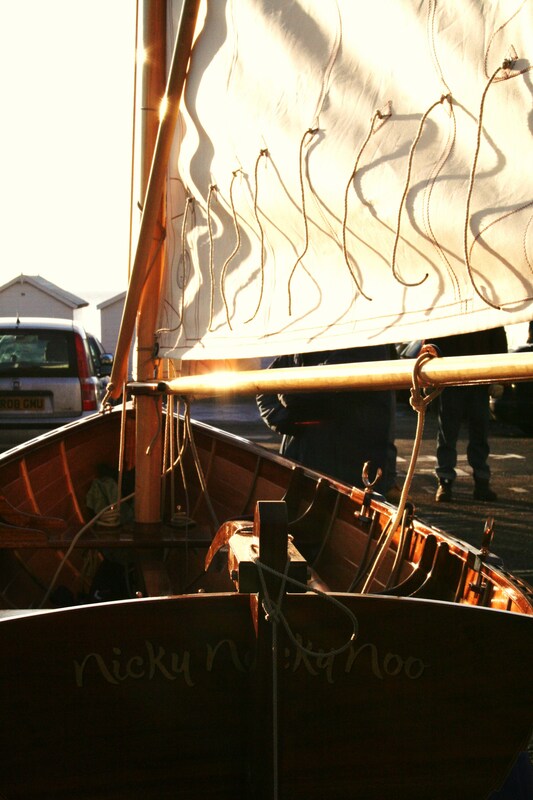 The boat, named Nicky Nacky Noo, was made using Gaboon marine plywood, with West African mahogany plywood for the sheer strake. 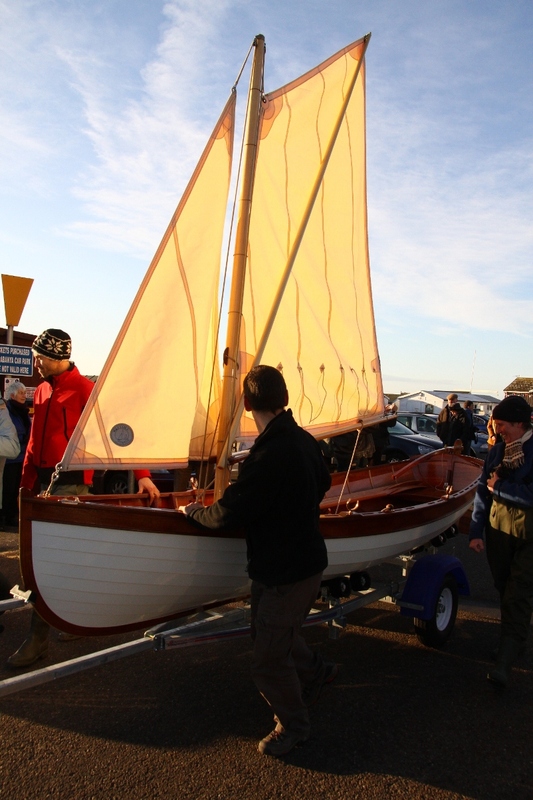 Matt, who I gather showed clear evidence of his designer’s eye, and great attention to detail and craftsmanship, incorporated steamed timbers and various bronze fittings. 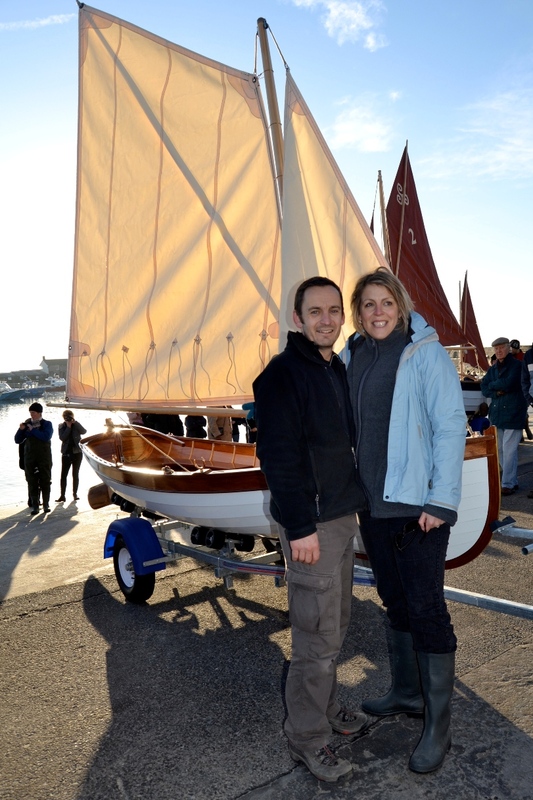 When it came to launch day Matt certainly added a dimension of his own to the schedule: surprised onlookers cheered as he rowed out on his maiden voyage, got down on one knee and proposed to his girlfriend Yvette. She said yes, and accepted the wooden ring Matt had made himself. A local newspaper article about the newly engaged couple appeared under the headline ‘Bride and Boom’. I should add that Chris Partridge of Rowing for Pleasure beat me with this story weeks ago, but it’s still a very cute tale. 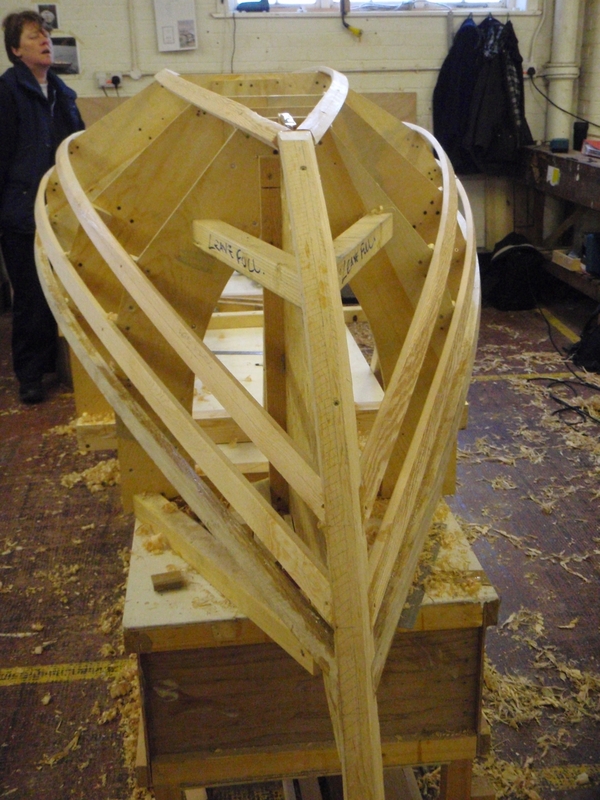 With the course is over, Matt is setting up his own workshop to develop wooden products, inspired by the shapes and forms of boat building and using boat building construction methods. Nuh, Matt’s main helper on the build, is of Turkish descent but was born and grew up in Germany and is one of a number of German students who have studied at the BBA. Nuh was an IT project manager for a car manufacturer before attending the course at Lyme. 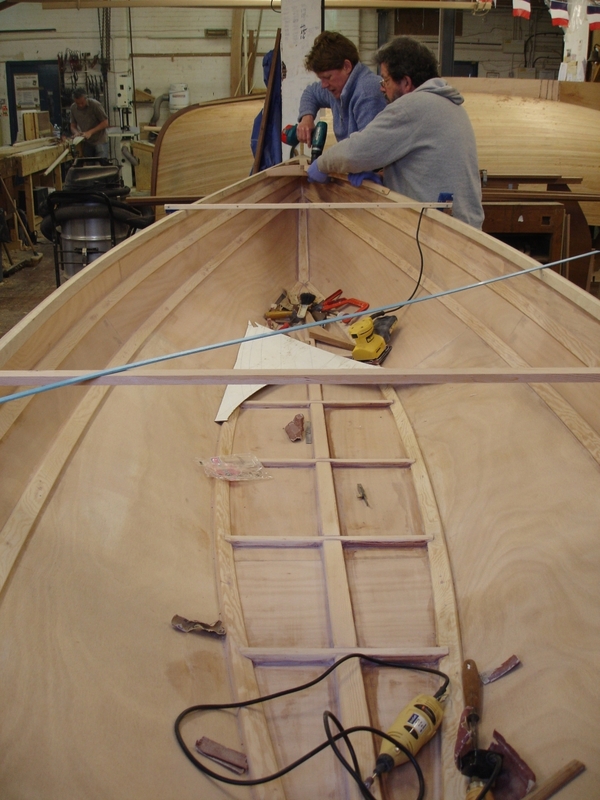 He is now pursuing boat building opportunities in warmer climates and hopes to move to Greece.